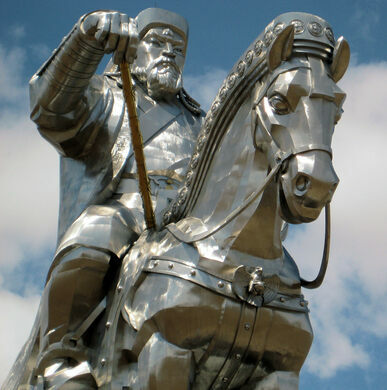 To most of the world, Genghis Khan is known as a brutal and savage dictator, whose campaigns of terror and wholesale massacre of civilian populations may have resulted in the deaths of up to forty million people. But to the people of Mongolia, he is revered as a national hero, ruling over the largest contiguous empire in history and establishing the Mongols as a political and cultural force. Despite being represented on dozens of statues and appearing on everything from bottles of liquor to cigarette packets, it seems that the public’s appetite for more has not yet waned. 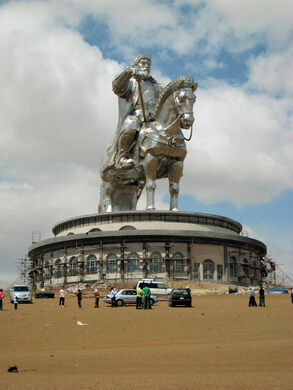 In 2008, a giant statue of Khan riding a horse was erected fifty-four kilometers from the capital Ulaanbaatar. At forty meters high, it is the world’s largest equestrian statue and stands more than double the height of the previous record holder in Uruguay. Made from two hundred and fifty tons of stainless steel, it reputedly cost $4.1 million to construct. At the base of the statue, visitors can visit an archaeological museum, try on traditional Mongolian costumes, tour the numerous portraits of the Khan lineage, or try the cuisine at the restaurant on the second floor before taking an elevator to to the top of the horse’s head, where they are greeted with a panoramic view over the surrounding landscape. 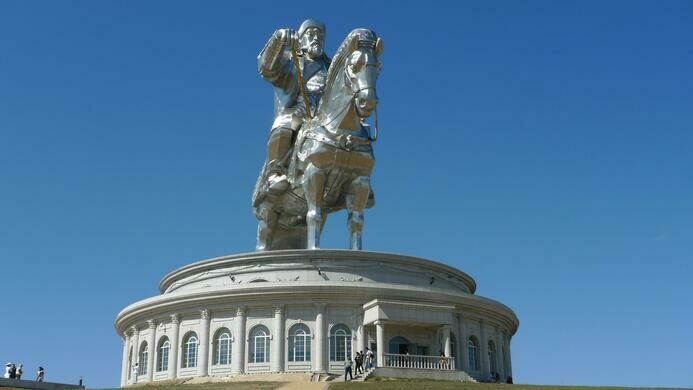 The foundation building, designed to look like European Gothic style architecture, symbolizes that Genghis Khan is standing on Europe after his successful military campaigns, and he is returning East, his home country. If you stretch your eyes to the East, you will see a small statue of his mother greeting him. The statue is located 54 kilometers from the capital city Ulaanbaatar. This place is also famous for its photo spot with wild birds. 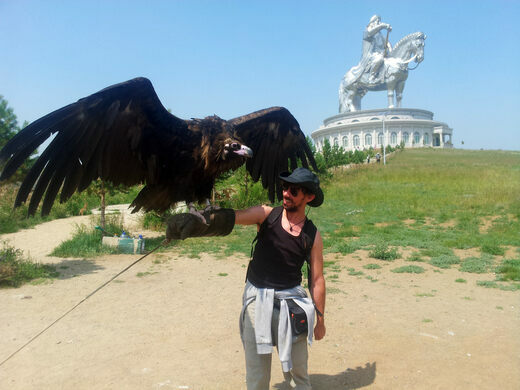 Visitors can take a picture with a golden eagle or vulture on their hand. A beloved tribute to the Fab Four and the freedoms they inspired.